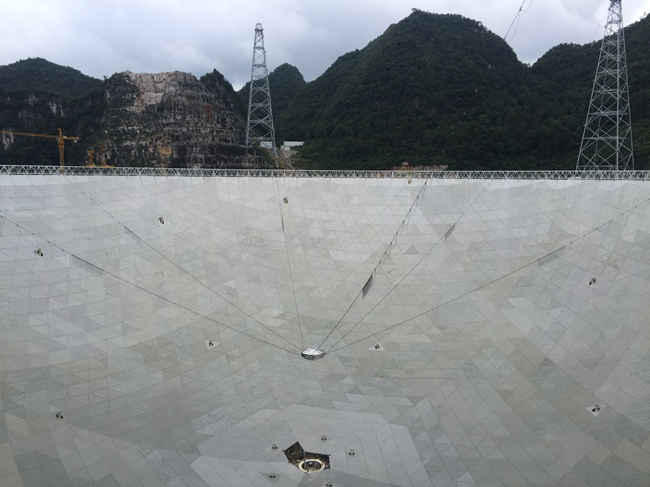 After more than five years of construction, the world’s largest single-dish radio telescope is finally getting ready to open its eye. 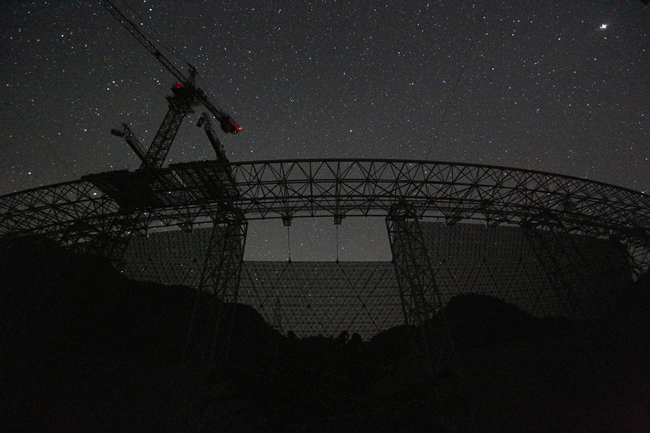 On July 3, 2016, with the installation of the last of its 4,450 reflecting panels – equivalent to the size of 30 soccer fields – the Five-hundred-meter Aperture Spherical radio Telescope (FAST) is counting down to seeing its first light in two to three months’ time. Compared with the Arecibo telescope, the previous record holder with a diameter of 300 meters, FAST is not only much bigger and more sensitive, but innovative in several ways: It has a much larger sky coverage thanks to its active main reflector, and a light-weight, adjustable feed cabin to move with high precision, etc. 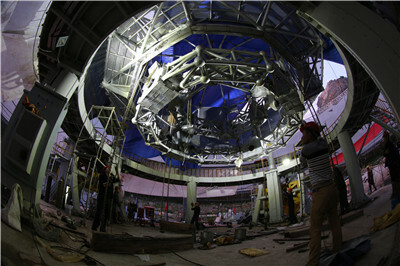 “Once completed, it will lead the world for at least 10 to 20 years,” said YAN Jun, director general of the telescope’s designer, builder and owner – the National Astronomical Observatories of China (NAOC) under CAS. YAN was on the scene to celebrate the completion of FAST’s main construction work on July 3. Installation of the reflector started in August 2015. In 11 months’ time, 4,273 triangular segments and 177 special-shaped segments were set into a unique cable-net structure consisting of thousands of steel cables, nodes and corresponding driving cables, which are tied to actuators on the ground to realize the transformation from a spherical to a parabolic surface. The idea of building such a telescope was first proposed in 1994. After a decade of site surveying, Chinese scientists found a nearly perfect spot for FAST in Dawodang, Kedu Town in southeastern China’s Guizhou Province, which is famous for its karst landforms and mountains that naturally shield against radio frequency interference. The project was approved by the Chinese government in 2007 and will be completed 5-1/2 years after the project was formally started – exactly in line with projections. When completed, the total cost is estimated to be 1.15 billion yuan ($180 million US dollars). “FAST will enable Chinese astronomers to jump-start many scientific goals, such as surveying the neutral hydrogen in the Milky Way, detecting faint pulsars, and listening to possible signals from other civilizations,” said NAN Rendong, the general engineer and chief scientist of FAST. 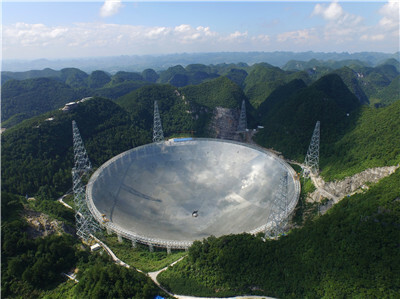 “It’s time for China to have its own big telescope,” NAN said.